From a small-scale manufacturer to a company with an international reputation in the medical technology sector. PARI was founded in Wuppertal in 1906 and has evolved during its more than 100 years of company history from a small manufacturer to a globally respected specialist in respiratory therapy. Today, the PARI business group is headquartered in Starnberg with additional locations in Weilheim (PARItec, production) and Gräfelfing (PARI Pharma, medicinal products and eFlow technology). In addition, there are international branch offices and a worldwide distribution network. PARI established its reputation back in the first half of the 20th century with what was, at that time, a revolutionary invention: nozzles, which made the atomization of inhalation solutions into a respirable aerosol possible. Initially, inhalation applications were only possible in clinics and practices. The next ground-breaking step: a portable inhalation device powered by electricity, which allowed inhalation therapy to be carried out at home. PARI continues to develop its nozzle-nebuliser technology, which is still up-to-date: for effective therapy with even more quality of life. 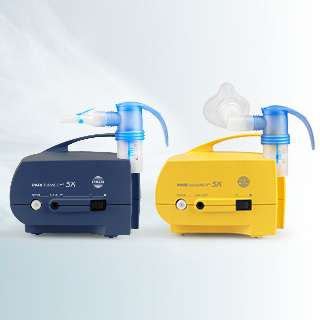 Another milestone was the development of inhalation devices based on oscillating-membrane technology. Now the devices were much smaller and nearly noiseless, with faster aerosol production and higher outputs. This changes a lot for patients: independent of the power grid, they can now inhale quietly any time and anywhere – a real positive in terms of quality of life. This benefits all user groups, from people who inhale preventively to patients with chronic respiratory diseases requiring very frequent inhalations.